Stir red and yellow food colors into frosting to make orange; frost cupcakes. With black icing, pipe lines to look like a basketball. Store loosely covered. 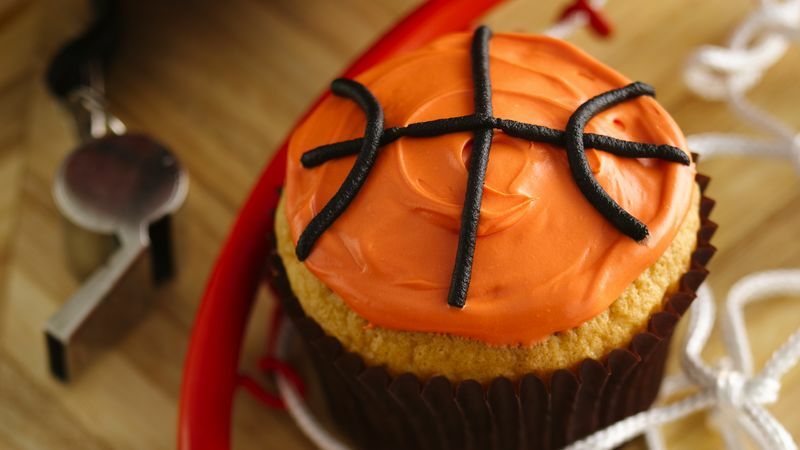 You can also use Betty Crocker chocolate frosting to create the lines of the basketball.